This precious piece of furniture is imported direct from Italy. 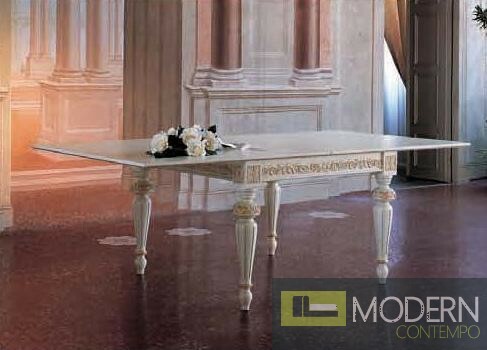 The classic dining table is designed with European style in mind. The dining table can extend up to 94", allowing plenty of space for dinner parties and entertaining. 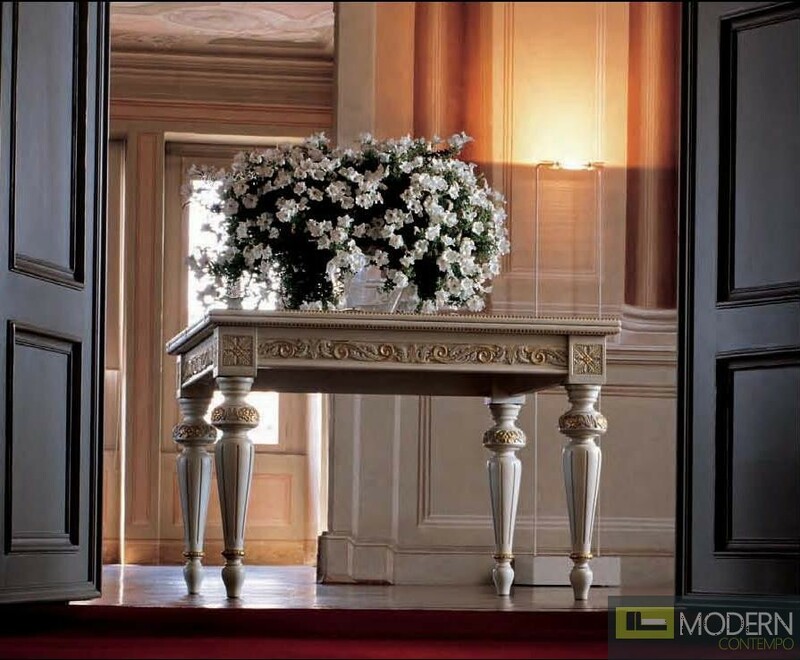 The table is constructed entirely of high quality hardwood and given an opaque, white finish. Intricate, detailed carving and gold accenting throughout make this piece an absolute stunner. The quality and class exuded from this fantastic piece of dining furniture is like none other.